A report last week that the next Xbox console won't allow independent game developers to self-publish on the Xbox One gave people yet another next-gen Xbox thing to stew about. But Microsoft's Xbox chief says that Xbox One will have some sort of indie-friendly program. We're not necessarily in contradiction territory here but rather in—stop me if you've read this one before—the land of more-details-to-come. 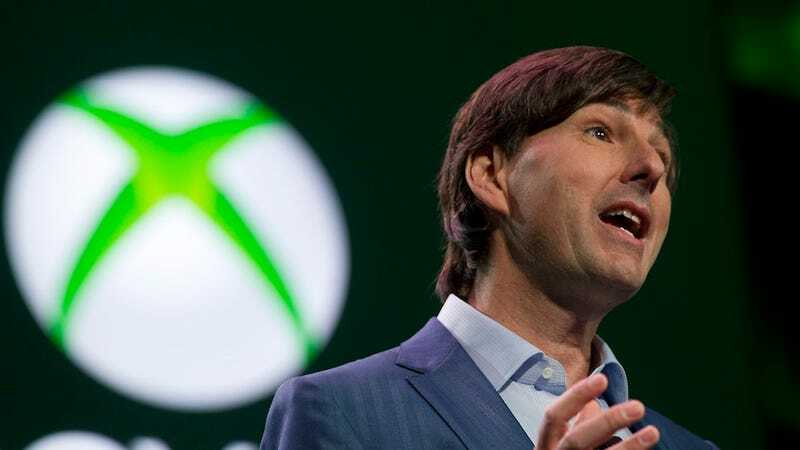 "We're going to have an independent creator program," Don Mattrick, Microsoft's head of interactive entertainment (read: he's in charge of the Xbox), told me last week. "We're going to sponsor it. We're going to give people tools. We're going to give more information." Mattrick mentioned this during my brief interview with him regarding the future of game consoles. We didn't get into self-publishing and he declined to share specifics just yet. He did, at least, praise the success of Minecraft and other indie-developed games and cited his own career trajectory. He may be an executive now, but back in the day, he was a game designer, starting young with racing games such as Test Drive. "That is something we think—I think—is important," he said of an indie program. "That's how I started in the industry. There's no way we're going to build a box that doesn't support that." Mattrick: "We're going to have an independent creator program... There's no way we're going to build a box that doesn't support that." Last week, ShackNews had reported that Xbox exec Matt Booty, who works under Mattrick, said that indie developers would not be able to self-publish games on the Xbox One. Mattrick made his comments to me about indies on the same day. Microsoft's current console, the Xbox 360, saw significant support from indie developers early on which resulted in a slew of critically-acclaimed indie-made games such as Braid, Limbo and Castle Crashers all published in partnership with Microsoft and therefore not classic examples of self-publishing. Microsoft also launched an indie games channel that allowed amateur creators to post peer-reviewed games. That channel did not host many hits, though, as Microsoft buried it in their dashboard and lost the attention of many indie creators and potential fans to the indie movements thriving on PC, iOS, and Android. Self-publishing is a way for independent game creators to get their work out there without, presumably, the potential meddling of a publisher or even the need to get a publisher to okay a game. Publishers, of course, can provide financial and production support, enabling and/or polishing a game. Indie creators simply don't always want or need a publisher. But, traditionally, game console makers have required developers to have publishers. That's been changing. Sony and Nintendo both allow for self-publishing on their current consoles, though both do require game developers meet console-specific certification standards. Indie developers regularly praise Sony and, to a lesser extent, Nintendo, about how easy they are to work with. Sony is aggressively courting indie developers and even had one of them, Braid-maker Jonathan Blow, present his next game, The Witness, at their PS4 unveiling. "Indie creators exist right inside our ecosystem," Mattrick had told me, referring to the Xbox 360 and some of its Xbox Live Arcade hits. "Probably the best example of a huge success is Minecraft. The work that Notch did [was] pretty amazing in the PC space." That game was brought to XBLA by the Notch-approved team 4JStudios and was given special exceptions by Microsoft to enable rapid post-release updates to the game. The game has sold six million copies on the 360. Mattrick said he loves indie creators. "We're going to support those guys," he said.